Wave forecasts for 5 locations on the Belgian coast. Link to service. MUMM’s OSERIT oil drift and fate model interface is a 24/7 accessible support tool for evaluation of an oil spill report by MUMM duty personnel, Coast Guard Centres and other governmental authorities involved in oil pollution response at sea or the follow-up of a (presumed) illegal pollution. More about OSERIT here. In this web page, The Arctic Today, You can find static and dynamically updated information about the state of the Arctic. Products from the Centre for Ocean and Ice at DMI. Link to products. Marine Forecast shows current meteorological and oceanographic forecast and measurements. Link to service. Service which lets you access METOC (meteorological and oceanographic) forecasts for exactly the locations and times that you are interested in. Link to Service here. Portal on meteorological and oceanographic information. Link to service. Marine forecasts at the weather service web site. Link to service. The coastal observational network, run by MSI, has undergone a significant evolution since 2005 and presently consists of 11 on-line stations. Link to service. 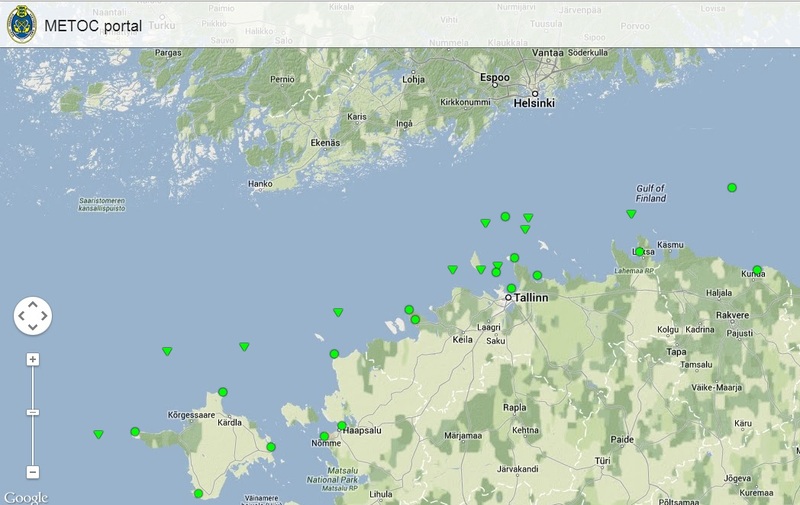 Marine information for the Baltic sea. Includes: Weather forecast for shipping Marine weather observations Sea level Wave height Ice conditions Wave forecast Link to service. Coastal Coriolis is a Data portal for all in-situ data platforms in Coastal French waters. Mercator Ocean has set up different services to meet a variety of user needs. Link to services. Central access point of BSH for geospatial data from oceanography, hydrography, shipping and spatial planning. 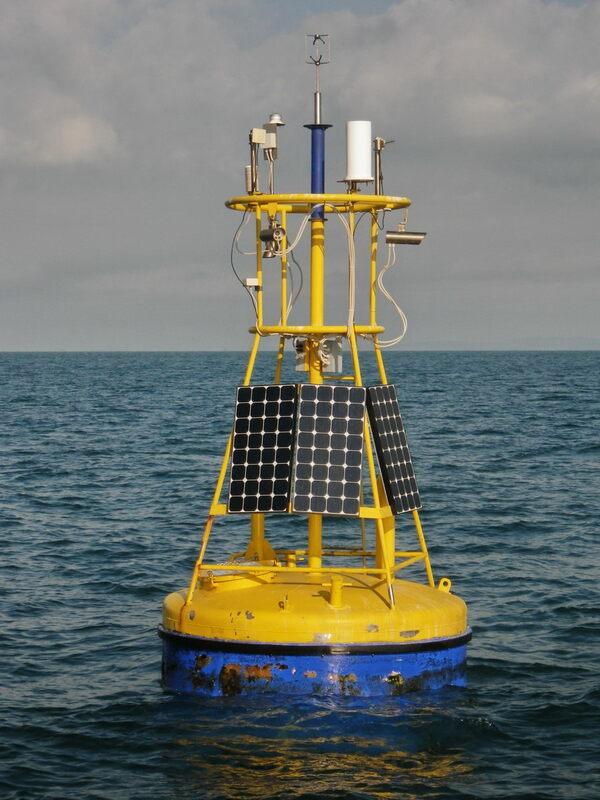 Marine Environmental Monitoring Network in the North Sea and Baltic Sea comprising twelve automated measuring stations. Access here. Datasets from the Institute for Coastal Research, HZG. Link to products. Operational oceanography products from the Operational Oceanography Group, Institute for Marine and Coastal Environment, CNR Oristano. Link to products. Web portal providing tidal circulation for the Mediterranean sea at 1/48°. Higher resolution forecasts (1/200°) are computed for the Strait of Gibraltar and the Turkish Strait System. 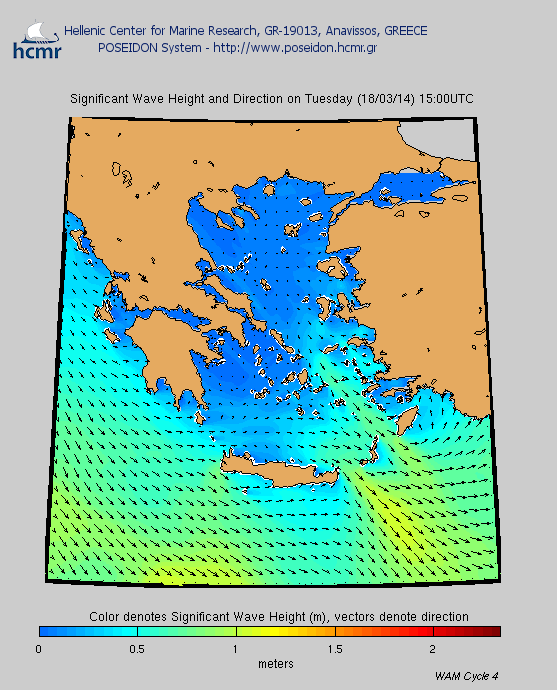 Web portal providing wave energy forecast at the spatial resolution of 1/32°. Higher resolution forecasts (1/128°) are computed over ten sub-basins around the Italian coasts. Web portal providing physical state forecasting for the Mediterranean Sea. Link to service. Oceanographic information and data for the Nordic Seas and Arctic Ocean from the Norwegian Meteorological Institute. Link to service. Regional Ice Charts from MET Norway. Link to service. Near Real-Time Algal Bloom and Water Quality Monitoring Service for the North Sea and Skagerrak Provided by NERSC. Link to service. Arctic ice concentration maps from SSMI data based on the NORSEX algorithm. Link to service. Operational Prediction system for the North Atlantic European coastal Zones. Link to service. The Department of Oceanography and Baltic Sea Monitoring is involved in regular measurements of the physical and chemical parameters of the marine environment and coastal atmosphere. Access to oceanographic information here. The Hydrographic Institute of Portugal collects and disseminates to a wide user community useful hydrographic/oceanographic information. Link to products. IEO is partner to the oceanic observatory for the Iberian shelf, http://marnaraia.org/. For more information click here. Data from thermosalinometers that monitor continuous properties of water in the subsurface are available through the IEO data centre. Link to service. Upwelling index time series provided by the Instituto Español de Oceanografía (IEO). Link to data. Real time data of physical oceanographic parameters (waves, tides, currents, wind,etc.) in Spanish waters. Link to products. This product show the marine and coastal weather of the seas surrounding Sweden. It includes warning information when issued and some recent observations. SMHI products delivered to the Baltic Operational Oceanography System. Link to data. Swedish Lightships measurements (1860-1972). Link to data. The Met Office initiates warnings and prepares routine forecasts for dissemination on behalf of the Maritime and Coastguard Agency (MCA). Link to service.